Interested in the future of our current students? The Office of Career & Academic Initiatives invites you to share internship and job opportunities! 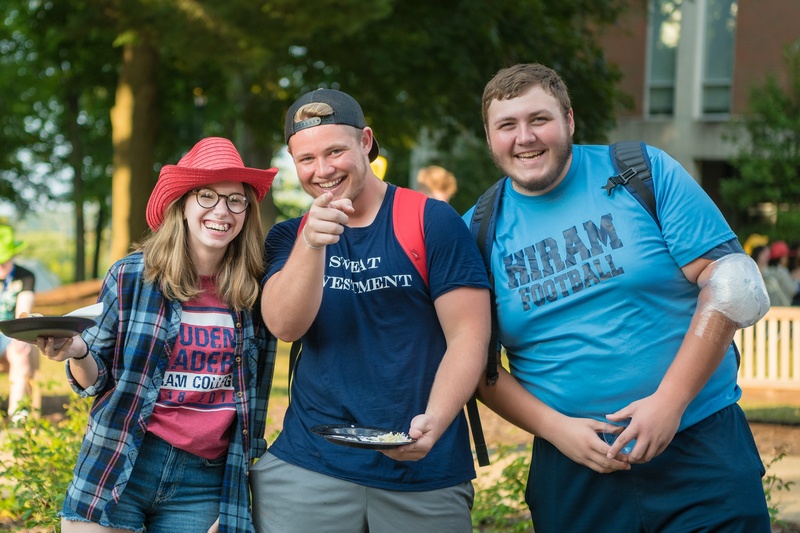 Although there is no guarantee that it will be filled by a Hiram student, our Career & Academic Development staff will be encouraging students to explore these opportunities first by giving priority exposure to internship and job opportunities provided by you - Hiram alumni and friends! Mark your calendars and plan to join us at an event near you soon! Nov. 13 - The Mansion on O Street - Washington, D.C. The June meeting between U.S. President Donald Trump and North Korean Supreme Leader Kim Jong-un has again raised the possibility of a negotiated solution to strategic challenges in Northeast Asia. This seminar will explore the prospects, opportunities, and obstacles for an agreement from the perspective of two former U.S. government officials, John A. Lauder ’68 and Olin L. Wethington. Both Lauder and Wethington have engaged in similar negotiations as well as agreement implementation in years past. 4:15 - 6 :15 P.M.
To register contact Kathy Luschek at luschekk@hiram.edu or 330.569.6118 by Oct. 25. We need your help to make Alumni Weekend 2019 the best celebration to date! Volunteer for your class reunion committee! 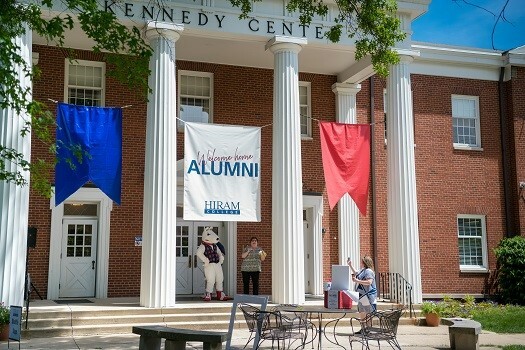 If your graduating class ends in a “4” or a “9” you will be celebrating a special reunion during Alumni Weekend on June 14-16, 2019. We need volunteers to help plan a weekend full of fun activities. For more information, please contact Jackie (Noall) Crandall at Noalljk@hiram.edu. On Saturday, Sept. 29, Jack Kerr ’51 served as honorary captain at the Hiram vs. Allegheny Homecoming game. Kerr first took the field for the Terriers back in the fall of 1947 playing end and punter for Coaches Steve Belichick and Al Pesek. The 2018-19 Terrier football team is honoring Breast Cancer Awareness Month by selling t-shirts and hats. Terrier fans are encouraged to wear their gear at the Oct. 13 football game vs. Kenyon College. For more information, contact Coach Stanford at StanfordHA@hiram.edu. We hear from so many of you that your study abroad experience is often one of the most memorable events of your Hiram education. Help us document these experiences by sharing your study abroad photos with us today! We look forward to sharing these with prospective and current students. Our Humans of Hiram spotlight features a different Hiram faculty, staff, student, alumni or friend each month. Today we feature current student, Anthony Lyon '21. 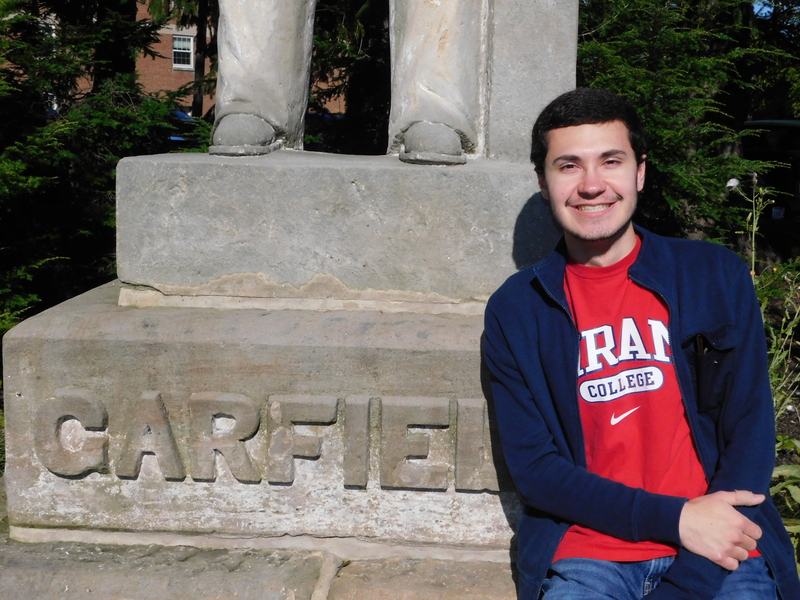 What else is going on at Hiram College? Recently, President Varlotta was featured on Cleveland's WKYC Channel 3 News, Judith Muyskens, Ph.D. was named Vice President of Academic Affairs and Dean of the College, and so much more. Click below to read more. 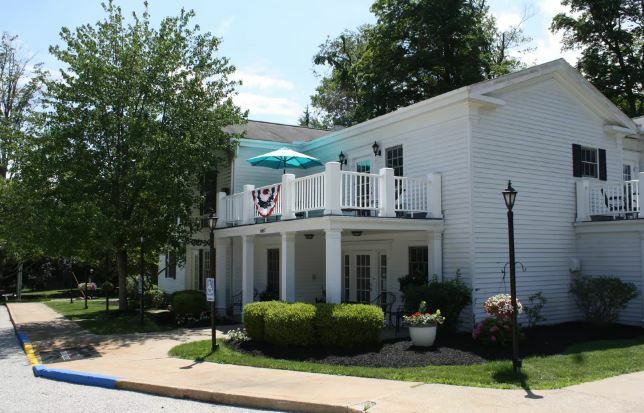 Return to the Hill and stay at the Hiram Inn! Did you know that the Hiram Inn is under new management and is now offering several events throughout the year to encourage you to come back and visit? Plan a trip and return to campus for a special night out. Consider registering for a food and wine adventure at the Inn with Chef Anne Haynam ’88. Like the Hiram Inn Facebook page and click events for more information. One of the most important ways you can give back is by referring a prospective student. Refer a student and let us follow-up to share more information on our top-notch academic offerings, experiential learning opportunities and more.